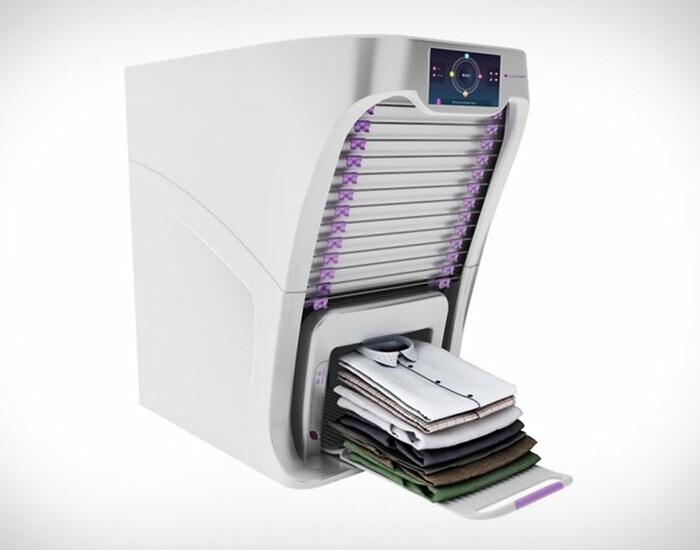 If you would like some help folding clothes on laundry day you might be interested in the new automatic clothes folding machine called the Foldimate, which is currently under development and expected to be available sometime during next year. The target price for the Foldimate is expected to be below $850 and pre-orders are expected to open sometime in 2017 allowing you to benefit from its precision folding mechanism, that allows you to finish a laundry load twice as fast unfolding it manually says creators. Check out the videos below to see how the Foldimate operates and can easily fold your T-shirts and shirts saving you precious time and hassle. For more information on the FoldiMate automatic clothes folding machine ahead of being available to preorder jump over to the official FoldiMate website for full specifications and a comprehensive FAQ page.